Happiness: a holistic and sustainable approach to development. 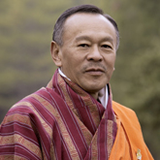 The Honourable Lyonchhen Jigmi Yoezer Thinley is the first democratically elected Prime Minister of Bhutan. He is a strong advocate of the philosophy of Gross National Happiness, which is an alternative development model conceived by His Majesty the Fourth King of Bhutan, and he regularly speaks on the subject at both the national and international levels. Lyonchhen is presently the Chairman of the National Environment Commission, as also the Chairman of the Ugyen Wangchuck Institute of Conservation and Environment (UWICE). Amongst the various awards received by him, Lyonchhen Jigmi Yoezer Thinley was conferred the Druk Wangyel Medal which is the highest civilian decoration, by His Majesty the Fifth King of Bhutan in 2009. Bhutan has always believed that all the world’s problems are interrelated and that any solution must be holistic and integrated in approach and content. Piece meal solutions only serve to aggravate. We have stated, time and again, that such a solution can be undertaken and devised only if all nations were to subscribe to and be bound by the realization of the truth and be committed to a collective vision –one that is based on an understanding and acceptance of the ultimate human desire and the direction for the advancement of civilization. I am happy to announce that the United Nations, this year, adopted with unanimity and without a vote the resolution, “Happiness: a holistic and sustainable approach to development.” Through this resolution, member states accepted a universal goal while acknowledging the limitations of our conventional development processes. It commits our nations to creating the necessary political, social and economic conditions to enable pursuit of happiness by citizens within a peaceful and stable environment. My delegation is of the firm belief that happiness or wellbeing in the manner that it is promoted in my country against a well-developed set of indices would be a natural progression from the MDGs that aim at establishing the minimum conditions for human survival by the year 2015. Happiness is, unarguably, a universal value that binds the rich and the poor, the developed and the developing and articulates the ultimate purpose of life. It is about making true societal progress in ways that are meaningful, joyful and lasting. 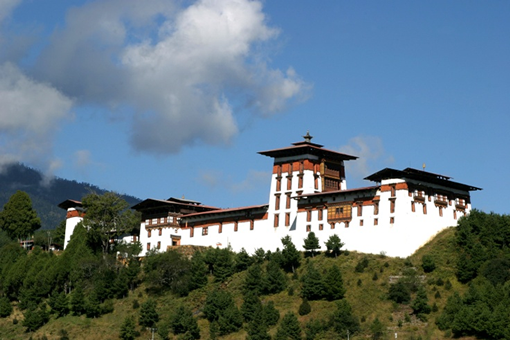 Since the early 70’s, Bhutan’s development process has been undertaken within the framework of a development paradigm that we refer to as GNH. It is based on the belief that development must serve a purpose rather than be an endless process for continued economic growth that simply cannot be sustained by a world with limited natural resources within a delicate eco-system. As a development paradigm, it is founded on the belief that happiness is the state of being that every individual or society seeks, and that the purpose of development must, therefore, be to create condition that enable its pursuit. It is based further on the conviction that such a state of being can be achieved when the needs of both the body and mind are met equally without one gaining at the cost of the other. Material prosperity must not come at the cost of spiritual impoverishment. No quantitative indicators were used. However, popular interest from outside have led to extensive collaborative research with partners all over the world to create a set of indices. The result is an elaboration of the four GNH pillars that I just mentioned into nine domains each of which has an equal and critical role in shaping and conditioning happiness. Like the precise dimensions of architecture, each of these happiness dimensions are measured with precision through a set of 72 variables or indices. 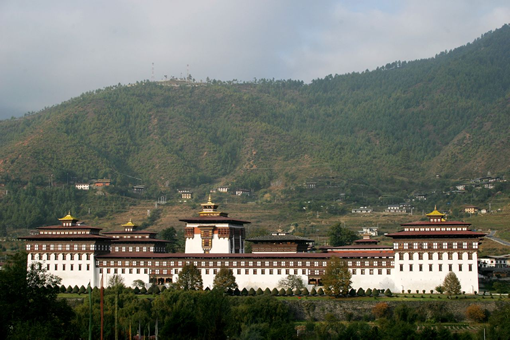 All government policies and programmes are now subject to what we call a GNH screening process by the high level GNH Commission chaired by the Prime Minister. Those that are GNH negative are rejected although or can be reconsidered only when the negative factors are removed or mitigating measures incorporated. In this regard, I am happy to report that my government, in collaboration with the UNDP, the Earth Institute of Columbia University, leading scientists and thinkers on the science and economics of happiness are working in concert to prepare for the panel discussion stipulated by the UN resolution. Proposed to be held in New York in the spring of 2012 before the Rio+20 summit, it will be the endeavor of this meeting to present to the member states a set of policy recommendations to create the nine conditions for happiness through development processes to be undertaken in harmonious collaboration with each other as bound by the shared sense of purpose. I believe the stage is set for a holistic and harmonious development paradigm that will put human society on a path to sustainable human advancement and true civilization. Going back to my recognition of architects as unacknowledged masters who define society, I see you in fact as wizards who, on their drawing boards circumscribe not so much the spaces they create but design life as they wish to see lived. What would you as such, have your architecture narrate to future generations? What would your narrative be? I have not had the opportunity to study architecture seriously and before such an august gathering of luminaries in the field, I dare not pretend to have useful ideas to share. However, what I can do and am qualified as one whose life is conditioned by your creations, is to ask some of the questions that often haunt me. What will future generations understand from the cities you build of the way in which we lived as individuals, family, community and as nations? Could they infer that ours was a harmonious society as facilitated by the convivial spaces you created for maximizing social interaction and community vitality? What would they say about our care for the natural environment? Would future generations elevate us as one that cared and turned the course of humanity from the brink of extinction to being mindful of intergenerational equity –largely through new ethics in architecture? Would your buildings incorporate all the great and truly green ideas that are on the fringes of mainstream architecture? Will they show signs of the ancient wisdom you imbedded with due humility? Would they convey how, with sensitivity and responsibility beyond clients and self, you promoted sustainability? Will they have something good to tell of the escalating energy crisis and the ingenuity with which we minimized dependence on artificial light and energy? This could be a favorite question especially as one major source, i.e. ; nuclear power, may have been abandoned as unsafe well before 2050. What will you have posterity say about the features and conveniences you create to save and recycle water, heat and cool spaces as well as manage waste –of how your design created a culture of environmental responsibility? Would you have it said that ours was the generation that reversed the endurance levels of people to minimize dependence on artificial climate and made dwellers more healthy and resilient? Would you give cause to conclude that ours was the generation that reversed the onslaught against our natural life support system and saved the forests and helped revitalize ecology through fundamental changes in building methods and materials? Is it possible that your edifices might give cause to believe that it was during the year 2011 –2050 that cities were built or reorganized with the idea of reducing food miles by linking them to adjoining farm lands and by ingeniously enabling cultivation of a minimum of vegetables and fruit beside apartment windows and on roof tops? Would our generation have designed cities and urban areas, howto more than half of the7 billion people now and the 9billion by 2050 that narrowed gaps between the haves and have-nots of homes? What would posterity say if by design of streets and through regulation, ownership of private vehicles made no sense and convenient public transportation emitted no greenhouse gases? What if localization of work place and home were facilitated through integrated clusters and walking becomes the preferred choice to go to work and return home? What narrative will you cast in the walls and columns of cities and monuments you raise, of the life we have lived and aspired for? What will the story of your broken cornices and crumbling walls being a thousand years? Will they speak of a good, sensible and caring generation who loved the young and cared for the old? How very appropriate it is that the congress chose to hold the conference this year in Tokyo. What greater honor could be bestowed on this great profession of architects than the gracious presence of their Imperial Majesties the Emperor and Empress. There are lessons to be learned from the Japan of today. There are profound lessons to be learned from the tragedy brought on the multiple disasters. I have no doubt that we are all deeply enriched by this unique experience and opportunity as professionals and as human individuals. May we all return from the disaster and this great country with solidarity toward a sustainable and happier world.